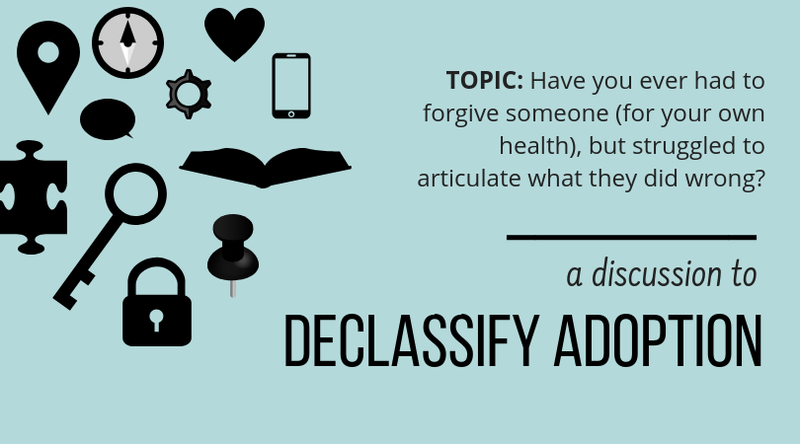 The Declassified Adoptee: Being Adopted & Latina in the U.S.
First, the idea that being one nationality, race, or culture, makes a person "less" than her peers is something that we are encouraging as a society when we do not stand up for what is right. Those horrific immigration laws in Arizona (which I have experienced recently on a personal level) have allowed for this to become something it is not. Second, it does not matter that someone is from a different country. Our country, their country, holds that as long as they are citizens, their rights must be upheld...it seems bizarre to me that anyone would hold one group to a lower or higher standard simply because of how they became citizens. Third, having a Hispanic surname, which I do, seems to make people think that they can treat me as a lesser being...one that does not have the rights that I was born with. This is wrong no matter what. Guess what! Racism is alive and well in the "free-est" country in the world...pathetic ain't it! I am so glad that I have not been following the news recently! It is amazing how the anonymity internet, specifically the comment section of news articles, allows people to reveal their vilest side. This is a family in crisis, why can't people exhibit a bit of compassion. Not knowing any of the details, my first thought was that she was 8-9 years old when adopted. What was her life like prior to the adoption and could she be carrying some very deep emotional scars from previous emotional trauma. My second thought was did the family do any counseling to help this child adjust when she was pulled into this very foreign land at that particular time in her emotional/social development. From what you have written the press and the commenters are just talking to be talking without having all the details. And to be honest - is this actually worthy of being breaking news? This is a family issue that does not pose any danger to the public. It is pure voyeurism on the part of the news agencies and the American public. Now that I have sounded off, I do have a comment to make as a trans-racial, international adoptive parent. After reading countless articles by "professionals" and by adult international adoptees, there is a lot of confusion out there. We are told that we are to teach them all about their country and culture of origin so they are proud to be from that country. Yet we are to not make them feel less American. 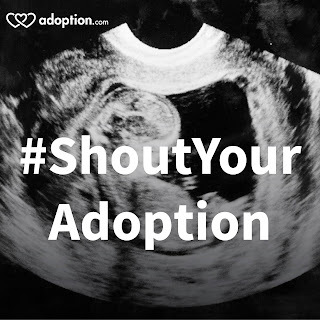 We are to acknowledge adoption is something that affects their entire life, yet we are not supposed to constantly refer to them as "our adopted children". Those are just a couple of tightropes that we walk on a daily basis. I am not complaining, just stating the facts. We muddle through, acknowledge when we make a mistake and try to do better the next time. But if we parents, who are living this dichotomy, don't get it right all the time, I can understand how those outside of the adoption world can get it so screwed up. It is not an excuse for hateful, inflammatory statements. But it is a compassionate thought. ...And all we need to know about her parents is that they are obviously wonderful because they adopted a child and sent her to private school. I can just see the Fox "News" story about how Mexican adoptees are infiltrating our borders, risking our national security in a plot to take over the country by - Not! It is sad to me that people seem to think that it is OK to view any rights adoptees may have as conditional and temporary. I agree, it drives me crazy. I grew up in a resort area where large companies in the entertainment industry would send recruits out to the UK and to Europe to help workers come to the U.S. and work for them for the summer. It was not odd for all of the waitresses in a restaraunt to be Russian, for most of the life guards at the waterparks to be Irish, so on and so forth. Were they all there legally or did they once come legally and then stay after their information expired? Who knows. But I think people are less likely to make assumptions because they are not as stereotyped as the Latino community is. So needless to say, because I grew up in an area that hired individuals from other countries to work who were mostly White, I don't tend to make that assumption that because someone is Latino that they must not be here legally. Skin color to me is not an indication as to whether or not someone is just as entitled to be here as I am or anyone else is. I wish more people would stop making those assumptions too! lighthousegal, I see your point and I agree. I think that there can be a delicate balance in households with adopted children between acknowledging what makes an adopted child different but not making them feel different in a way that makes them feel that they are not included in the family (& surrounding culture) or that they are inferior. I don't understand all the dynamics but know it must be a challenge! But for journalists, just as though there are codes of ethics for discussing race, gender, religion, ethnicity, sexual orientation (etc.) among good journalists (who will sometimes blur those ethical lines from time to time to be controversial), adoption should be no different. Because adoption has been around for such a long time, I feel that journalism ought to have figured out by now how to refer to adoptees in a way that is not marginalizing. When I read the various articles, I was made to feel that the reference to her race was made in correlation to deportation and her adopted status to her deviant behavior etc. etc. I think those generalizations and connections were made or inferred on purpose to get readers' interest and attention without regard to how it would impact adopted readers or make them feel. That was one of the first things I thought too "WHY is this headline news?!" Sunday, I have noticed that too. I think how adoptees vs. the biologically-raised are viewed and talked about when in the same difficult situations are completely different. It's called Scapegoating. The more labels that can be placed on a person, the easier it is to judge them and treat them like trash. This social dysfunction has existed since the beginning of mankind but it is an evil that must be fought against continually as it shifts from one victim and his/her label to another victim with another label. It's a never-ending social disease. 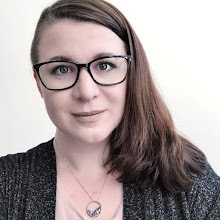 Amanda, you said: "I think those generalizations and connections were made or inferred on purpose to get readers' interest and attention without regard to how it would impact adopted readers or make them feel." I agree with you. I think the reason adoption is so heavily mentioned in articles like this is to reinforce the "bad seed" stereotype, lending a Hollywood-esque feeling to the story. "Ooh, she was adopted! It was only a matter of time before she did something criminal!" If all parties in this matter had been biologically related, would it have been as big a story? It is always presumed that there must be something wrong with adoptees for us to have ended up being adopted, like we're all one step away from becoming psychopaths. That's also reflected in sealed records, where all the stupid limitations on access presume that we are crazed stalkers ready to pounce on our birth families the minute we find them. No innocent interest in genealogy for us! I wonder if this adoptee was subjected to situations like always being introduced as "the adopted daughter" in social settings, or having to silently suffer racism. Why is no one looking at causal factors?